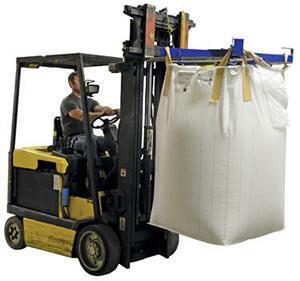 The bag lifter is ideal for industrial and manufacturing settings. The unit is constructed of powder coated steel for durability and added strength. 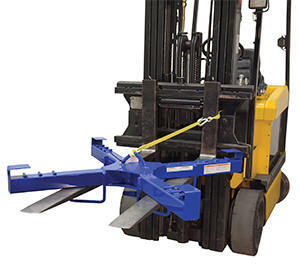 The lifter can be used with the center mounted hook point for balanced lifting capabilities with an overhead hoist or with a forklift by utilizing the attached fork pockets (retaining strap included). After choosing which lifting style is best, secure the loops of the bag to the four strap points for safe maneuvering and transporting.